My brother-in-law bought me the most beautiful scratch map recently. 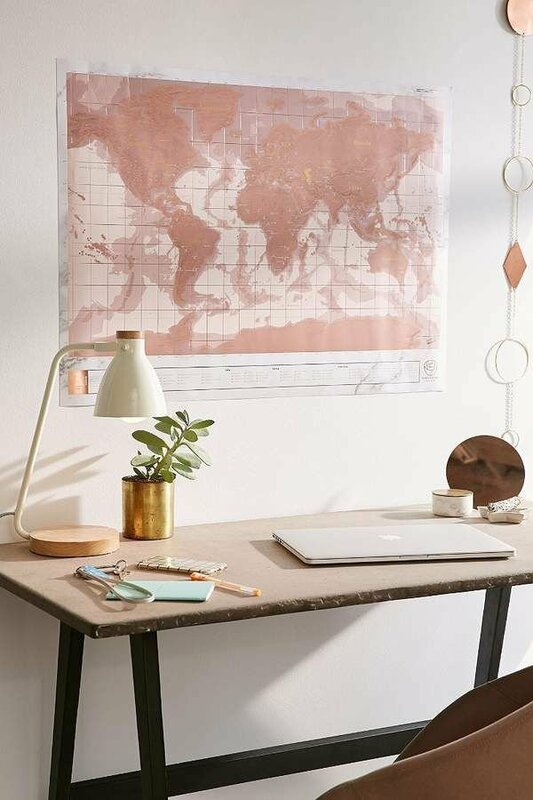 It’s blush pink with rose gold detail and it’s so pretty that it’s made me want to revamp my office and beauty room (our spare bedroom basically :p). Anyway, I was thinking of ways that I could decorate it without spending a fortune or putting a bulldozer through it entirely – so here’s what I came up with. 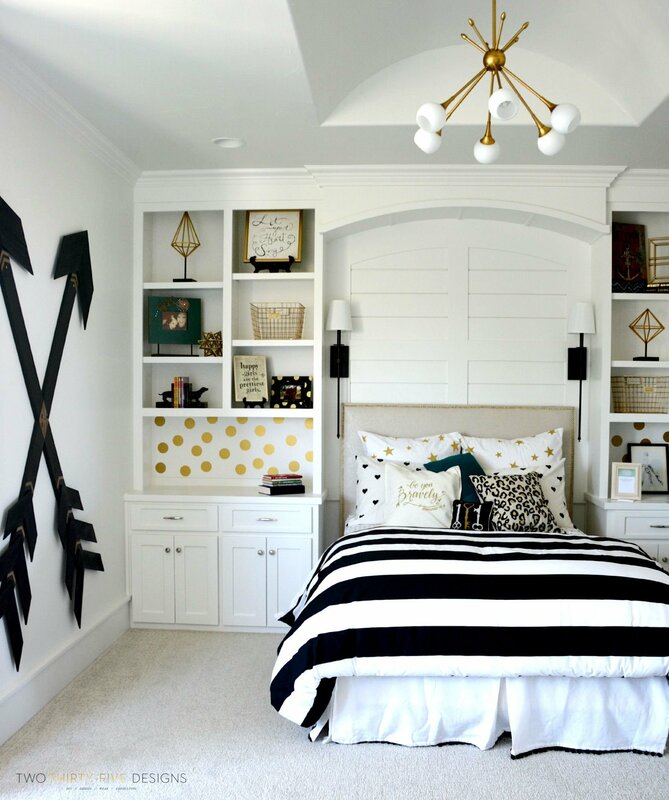 If you picked even one or two things on this list, you could change the look of your bedroom instantly! Disclaimer: The images in this post are not my own. They’re from Pinterest. 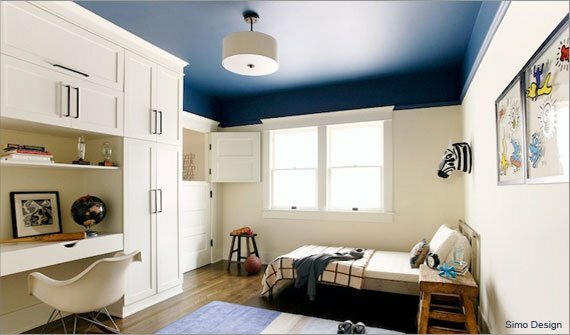 Painting a room is probably the quickest and cheapest way to transform it! 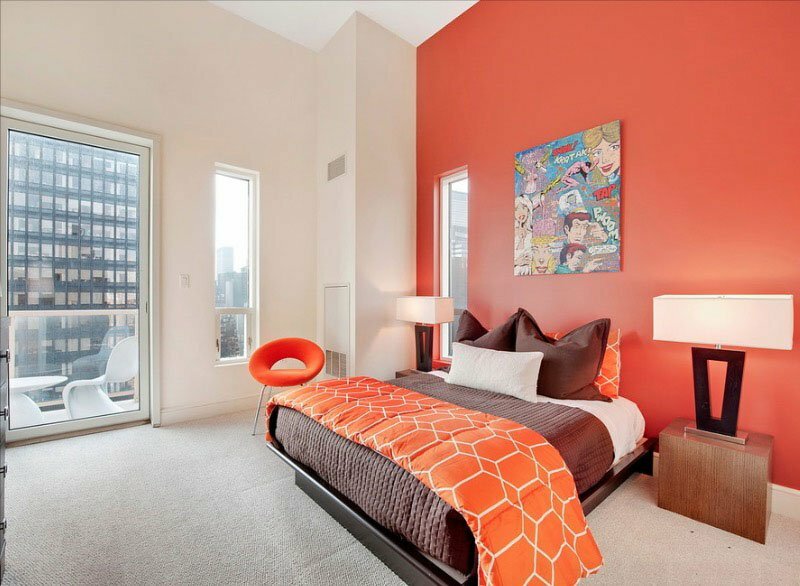 It can take it from dull to bright and from cold to warm, without doing another single thing to the room! You don’t even have to stick to one colour! Coloured ceilings has become popular recently and I think it adds a real cosiness to a room. A little tip from me to you – always buy a tester. I’ve bought cans of paint in the past that turned out to be an entirely different colour on the walls. I currently have a canvas of New York on the main wall of my “office”. It’s black, white and grey and goes perfect with the pale apple green that’s currently on my walls. This will be replaced by the scratch map and I think with the paint and the map, the room will look totally different. Buy it here. 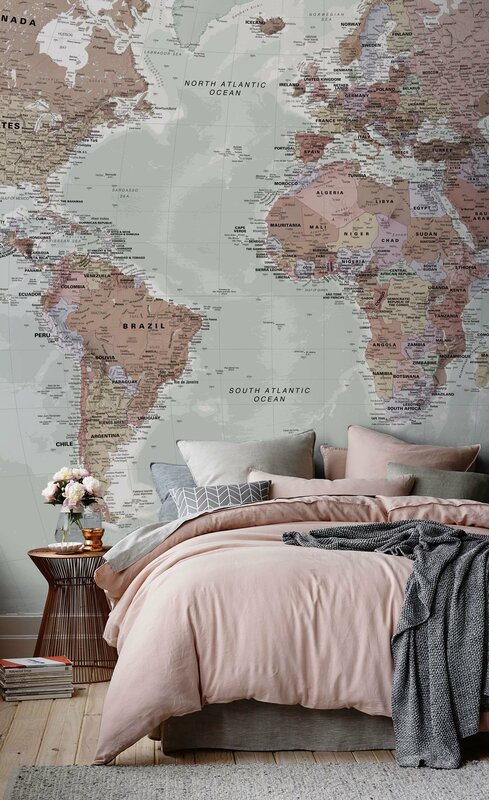 Or if you had a free wall in your bedroom, you could make the entire thing a map! I think this is just amazing! Other ideas include a picture wall, a family tree, a quote. Etsy have really nice ideas created by small and independent businesses. 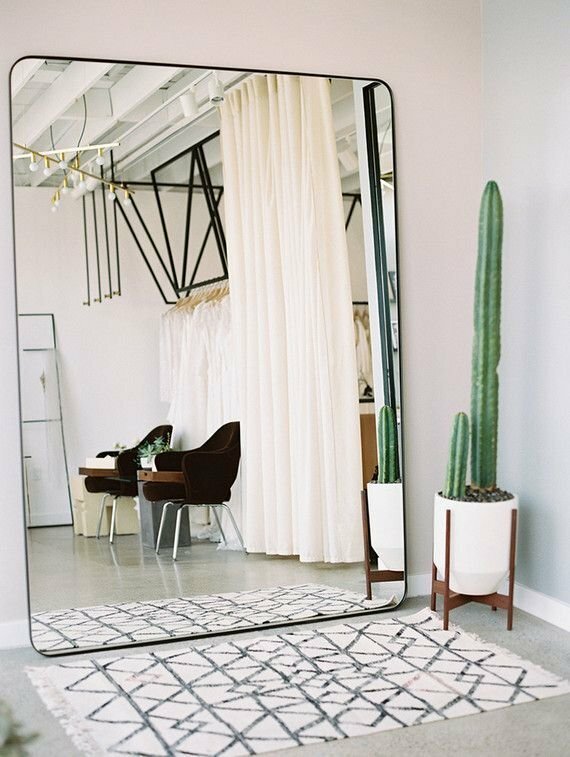 A really simple, obvious, but effective way to transform your room. Endless ideas for designs and colours. My own bed clothes are white generally, but when I fancy a change I’ll go for ones with a pattern and I’m always so surprised how different the room looks! Marks and Spencers do the best (in my opinion) bed clothes and they’re actually the same price as Dunnes for the most part! They’re not as expensive as you would expect but they definitely look it. 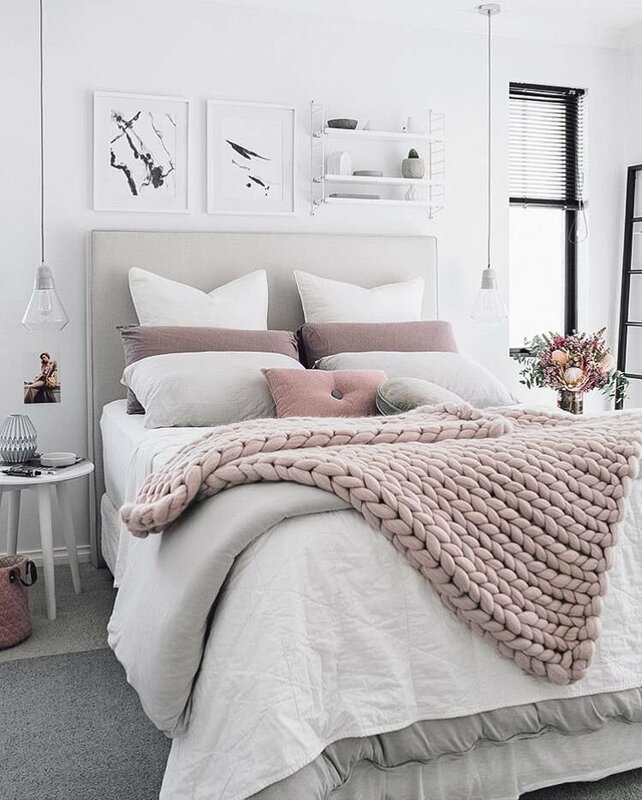 If you don’t want to change your bed clothes for whatever reason, or want a cheaper alternative, buying a throw and cushions can have a big impact on the look of a bedroom. If you have a lot of furniture in a small room, it will make it look cluttered and disorganised. 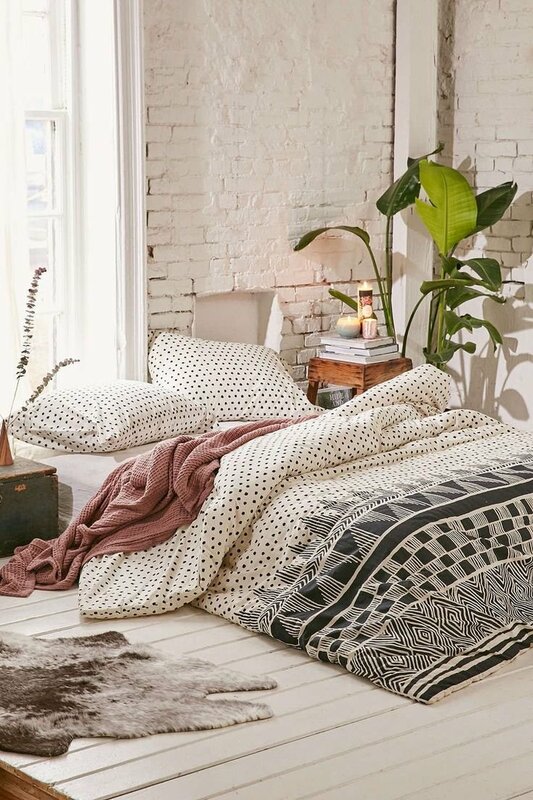 Look at each furniture item in the bedroom, do you really need it? Or is just a dirt collector? If you have a big space, you can add more furniture like a small table with a vase, candles or lamp on it! This will have a similar effect as changing the style of the bed clothes. Be as bright or bold as you want! 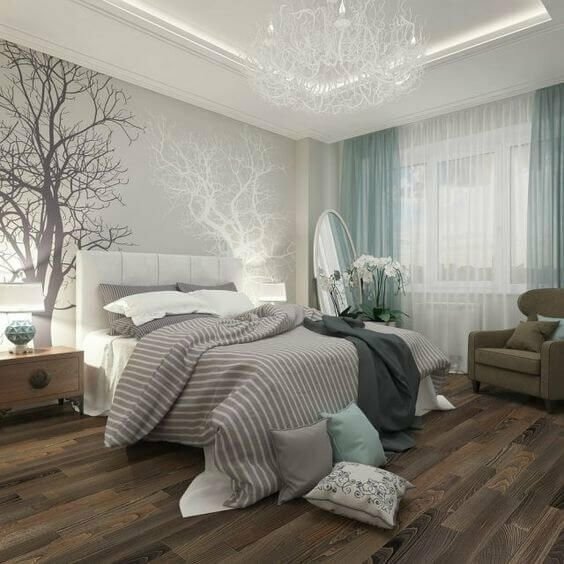 Adding a fancy light to a room gives it a face-lift! A mini-chandelier, a crystal light, an industrial-style lamp, there are so many options depending on the style of your room. I actually don’t have any curtains in my office/beauty room but I seen a gorgeous, blush suede (fully lined) pair in Penneys that I need! 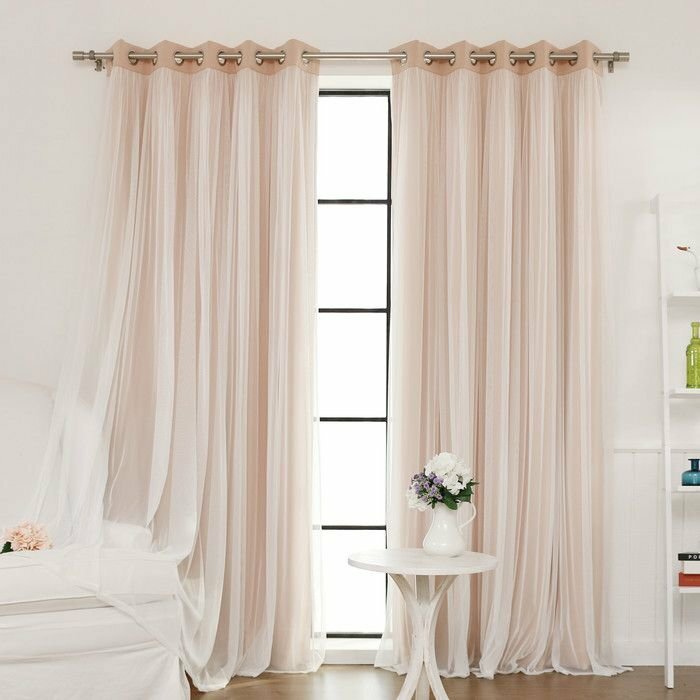 Curtains make a room cosy and if you add coloured or patterned ones they can change the look of the entire room! I hope this post has given you as much inspo as it has given me! I am dying to decorate now and I refuse to put my scratch map on the wall until the bedroom is done. Speaking (typing) of travel, you can read all about our travels here including our recent trips to Poland and Italy. Next stop, New York! Subscribe to my newsletter to stay updated and follow our trips on Instagram.